Last night I sat in a luxurious deep blue bath thanks to Lush’s Blue Skies & Fluffy Clouds crumbly bubble bar and ate my weight in mini creme eggs – it was heaven. 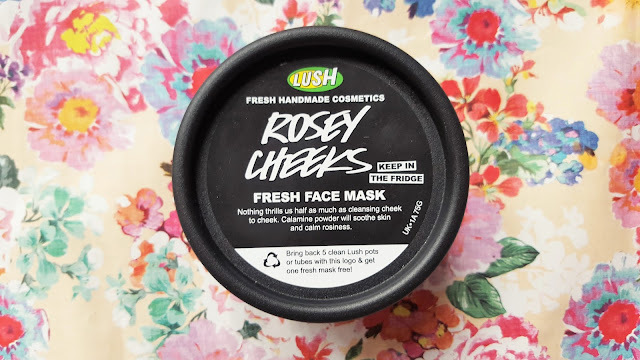 I also used the Lush Rosey Cheeks Fresh Face Mask (£6.75). A relatively new product to the Lush family, this baby pink cruelty-free formula promises to soothe and calm the skin with a gentle blend of Kaolin, Calamine Powder and Turkish Rose Oil. 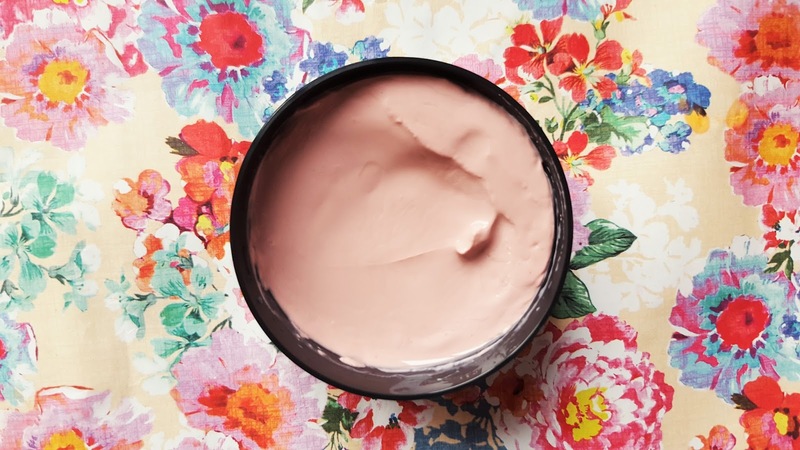 The pretty pink cream has a smooth consistency, a delicate rose scent and applies easily to the skin. As with all Lush face masks, it’s recommended to store this product in the fridge to keep it nice and fresh and prevent it from spoiling. I used a generous amount of the cream and left it to get to work for 15 minutes. It’s so gentle on the skin I actually forgot I had anything on. The mask is an effective cleanser and left my skin feeling a little more plump and soft. I followed the mask with my ModelCo Rosehip Luxury Face Oil for a more intense hydrating treatment. Rosey Cheeks is a nice product but not one I can see myself buying again. Considering the price, after 3 applications, I didn’t really notice any astounding difference in my skin. The pink colour and rose scent are nice touches to a rather dull product with little substance. This is the first of Lush’s masks I’ve not been impressed with; Cupcake and Oatifix are two of my favourite skincare products. Sadly, Rosey Cheeks lacks the ‘wow’ factor for me. An hour later I had forgotten I had even used it. "Pregnancy | Things You Shouldn’t Say to an Expectant Mother"